Use this electric pump to help filling and draining your waterbed mattress for easy setup, moving or repair. 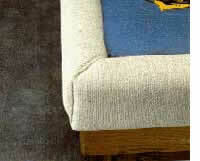 Standard Padded Rails have 3/4" thick foam extending 4" down the sides of the rail. Jumbo Padded Rails have 1 1/2" thick foam extending 4" down the sides of the rail. 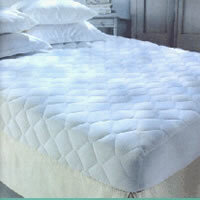 All of our frames are designed to support waterbeds but will also work with any mattress set.